Mrs Turner has been reading The Christmasaurus at home and is so in love with this magical book that she wanted to share it with Year 2! It is too long for us to read the whole thing in class but today we looked at a small extract. We read it together and then by ourselves then talked about what we could find out from the text and the inferences we could make. We will be looking again at magical Christmas beans that sprout Christmas presents next week...! We spent this morning completing another lengthy piece of writing. We wrote a description of Rocky and Sidney's Arctic home, making sure that we used lots of descriptive vocabulary. Our stamina for writing has improved so much! So much INSPIRE stuff being demonstrated - some children wanted extra time so that they could write EVEN MORE and everybody was really trying to be the best that they can be! 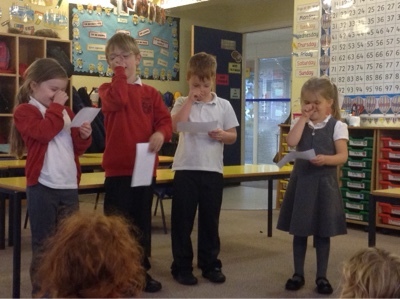 In Word Wizards today we enjoyed making actions for our focus words: 'excellent,' 'except,' 'certain' and 'police.' Choose one of the words and put it into a sentence. Tell someone at school or home the sentence which you have made. We are going to use this video to reinforce positive mindset and INSPIRE learning. Don't forget to bring your homework into school this Friday. We are hoping to share your games and activities as part of our morning learning..... make sure you know how to explain the rules to a friend! What's it like in the Arctic? 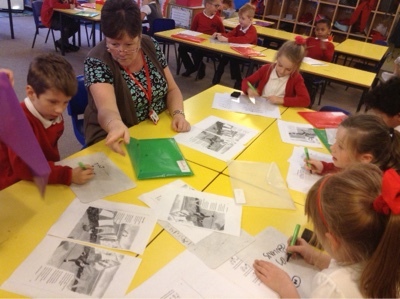 We learnt about life where our visitors from the Arctic are from. What would life be like for our special visitors, Rocky, Sidney, Rudy and Sooty? What would they see, hear, taste, smell and touch every day? Multiplication Morning... with some division thrown in! 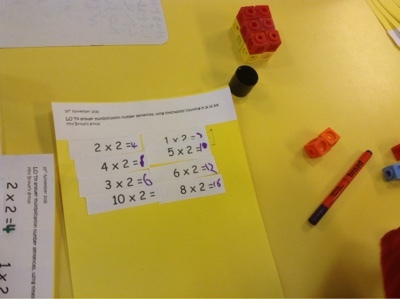 In Walnut class today, we explored more multiplication. 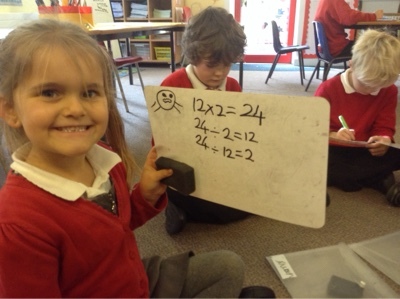 We then looked at how division is the inverse. 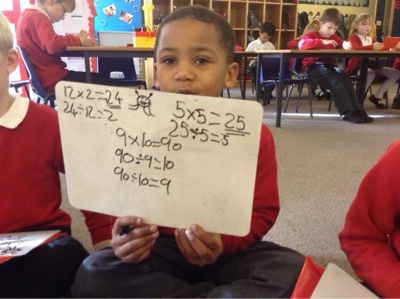 Some great Maths, well done! 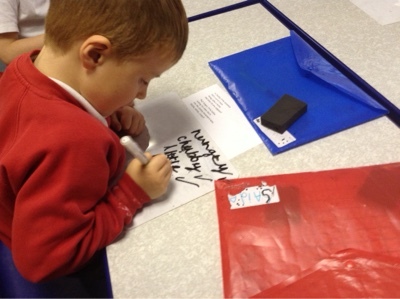 We looked at a range of Wintery poems this afternoon, exploring lots of different features. Who Can Help Dave and Baz? This video could really help with our understanding of how division links to multiplication. What were we doing in Walnut this afternoon? 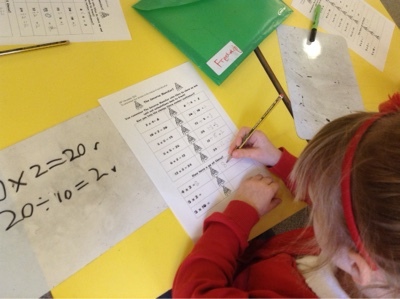 We had a great Thursday maths rotation this morning. 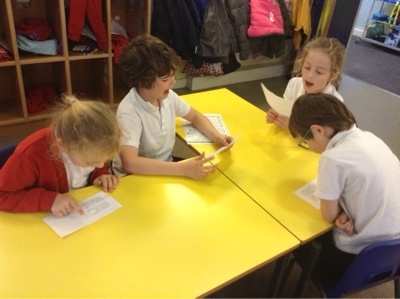 We worked with Miss W on our sharing. 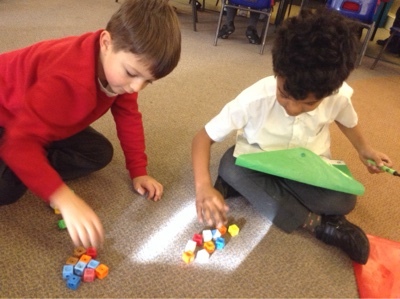 We played some great doubling and halving games. 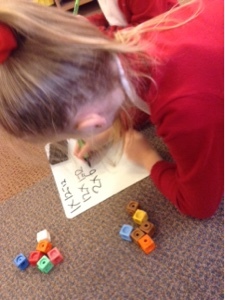 We did lots of quick fire maths on the Todo app. 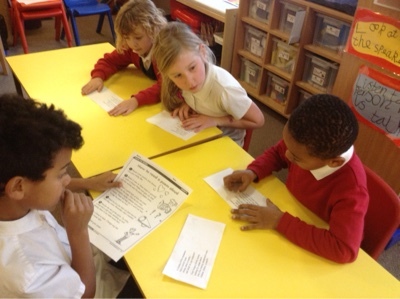 Last but not least we worked with Mrs Hatcher to create a steps to success for sharing. 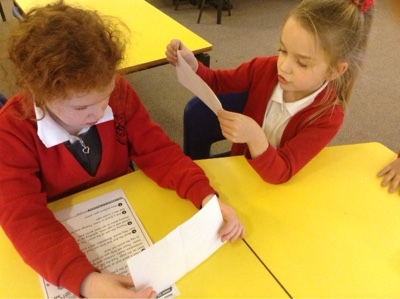 Some of Ash class enjoyed playing division games on Wednesday. How Much Is In Your Purse? It's snowed in the classroom! London's Burning..... the reaction photos! London's Burning.......... at SPS.... part 2! London's Burning..........how it all began. Are you the Full Inspire? RE- How could we solve problems in the world? Ash Classes AMAZING animal projects. Conscience Alley ~ What Should Guy Fawkes Do? Goody or Baddy..... you decide! Guy Fawkes... a Goody or a Baddy?